CINCINNATI — A Silicon Valley startup developing electric propulsion systems for satellites has raised $10 million and added the billionaire founder of LinkedIn to its board. Apollo Fusion announced the $10 million Series B round July 11, bringing the total the company has raised to date to more than $18 million. The round was led by venture fund Greylock Partners, with one of the fund’s partners, Reid Hoffman, joining the board. Apollo Fusion will use the funding to scale up manufacturing and testing facilities for its electric propulsion system, called the Apollo Constellation Engine (ACE). The company believes that ACE is well-suited to serve the growing demand for smallsats with onboard propulsion. Several other companies, including Accion Systems, Enpulsion and Phase Four, are also working on a variety of electric propulsion systems intended for use on smallsats. Apollo Fusion argues, though, that ACE offers more performance in a smaller package. Cassidy said that Apollo Fusion has one signed contract to date with ACE with an undisclosed customer, with two others “pretty far along.” The first ACE will be flown on a six-unit cubesat in the first quarter of next year. The company sees several uses for the ACE system, from enabling remote sensing satellites to fly in lower orbits and thus generate higher-resolution images, to providing more cost-effective means to raise satellites to geostationary orbit. The company is focusing on microsatellite and other small satellites, versus cubesat-class spacecraft. Apollo Fusion also plans to partner with an unnamed aerospace and defense manufacturing company, also based in Silicon Valley. 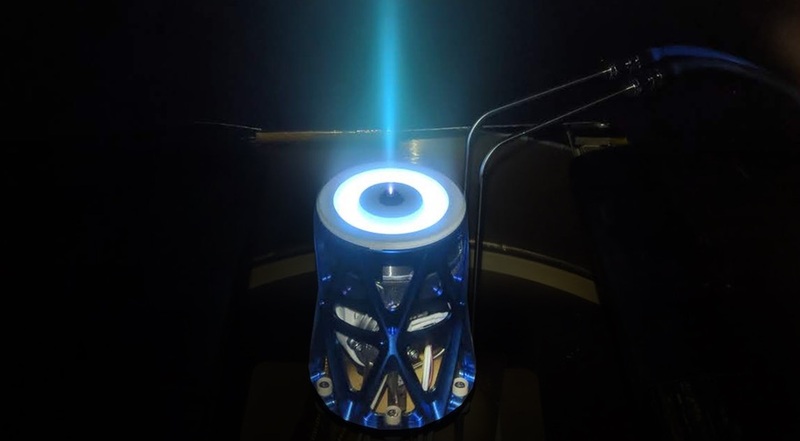 McClellan said that will allow Apollo Fusion to focus on qualification and acceptance testing of its ACE thrusters while that partner handles the manufacturing, allowing for higher production rates. In addition to the funding, Apollo Fusion is adding Hoffman, best known as the co-founder of the business-oriented social networking platform LinkedIn, as a board member. Cassidy, who previously led four other technology startups before Apollo Fusion, said he has known Hoffman for a couple of decades, meeting him and other entrepreneurs through a regular series of dinners.